Eleven-year-old Anna Paquin became the first New Zealander to win an Academy Award for acting when she picked up the best supporting actress award for her role as Flora McGrath in the acclaimed historical drama The piano. She was the second youngest recipient of this award in Oscar history. Jane Campion, the film’s writer and director, chose the then nine-year-old Paquin out of 5000 candidates who attended an open audition in New Zealand. Despite having no acting experience, Paquin impressed Campion with a monologue about Flora’s father. The film, directed and written by New Zealander Jane Campion, reached the pinnacle of success for cinema worldwide, winning the coveted Palme d’Or at Cannes and three Oscars at the 1994 awards. 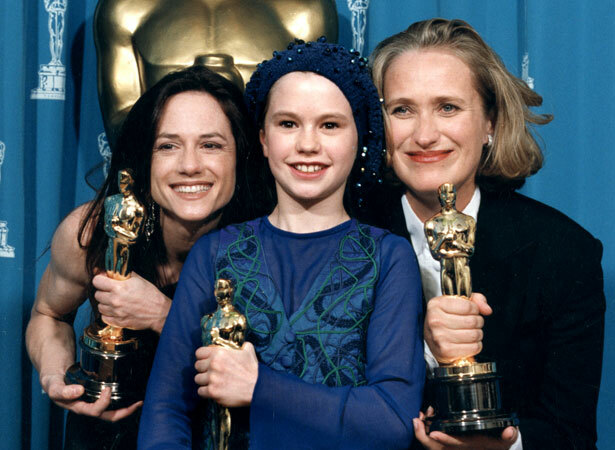 Along with Paquin’s statuette, Campion picked up the award for best original screenplay, while American actor Holly Hunter won the best actress Oscar for her portrayal of Ada McGrath, Flora’s mother. In 2013 Campion revealed that she had originally intended Hunter’s character to die at the end of the film, but changed her mind during shooting. We have 1 biography, related to Kiwis win Oscars for The piano.